We want to assemble a collection of the best and most desirable rewards for early backers of the General Staff Wargaming System on the upcoming Kickstarter campaign. We are looking at catalogs of embroidered caps and oxford shirts and bags. We’re looking at fancy pens. But, then we realized that the one reward that our Grognards would really like are thirty free battle scenarios! 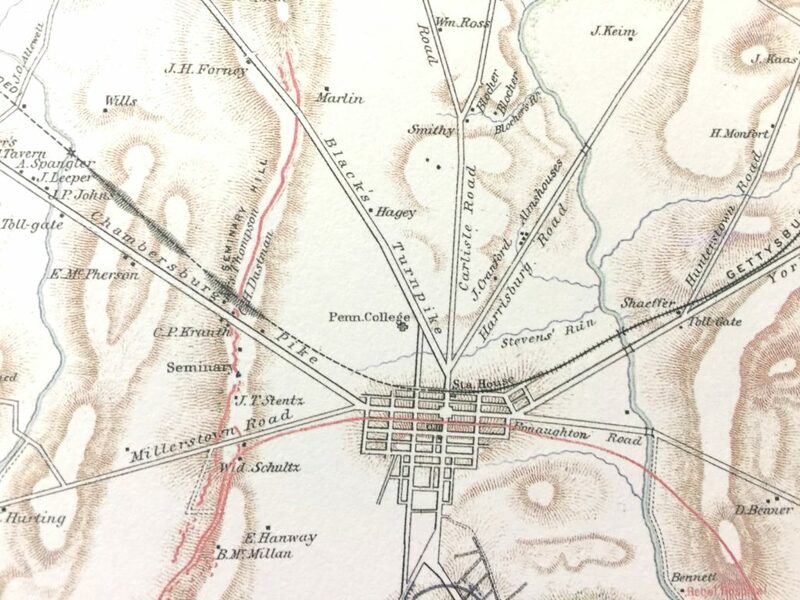 Nineteenth century map of Waterloo. Click to Enlarge. It is certainly no surprise that Waterloo was the top vote-getter. It is also probably the battle that has most often appeared in a computer or board game. Indeed, Waterloo was featured in my first commercial computer wargame, UMS: The Universal Military Simulator way back in 1987. The question is: what can we do that is new and interesting? We may concentrate on the fighting around Hougomont or, perhaps, our AI will do something very unusual. Indeed, detailed analysis of Waterloo by my TIGER program (at 1000, 1430 and 1600 hours) indicated that the AI recognized that Wellington’s flanks were considered to be ‘unanchored’. TIGER AI loves to pounce on anchored flanks. Gettysburg, Day 1. From the Official Military Atlas of the American Civil War. Click to Enlarge. Again, no surprise that Gettysburg was one of the top vote-getters. However, unlike Waterloo, Gettysburg was a series of smaller battles that combined over three days to became the epic battle in the history of the North American continent. The first day’s fight at Gettysburg was a very interesting affair involving Confederate infantry versus Union cavalry that was backed up, in just the nick of time, by Union infantry featuring the famous Iron Brigade. Gettysburg July 2, 1863: the Battle for Little Round Top. From the Official Atlas of the American Civil War. Click to Enlarge. 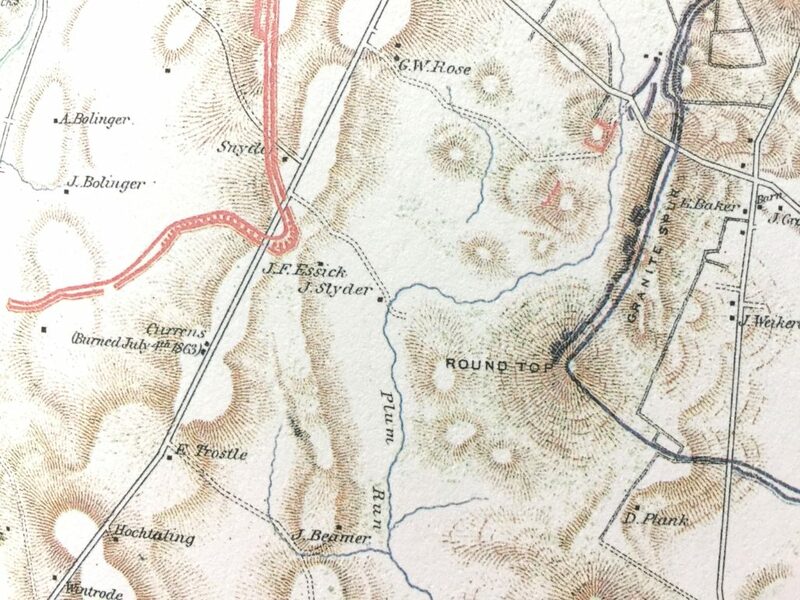 On the second day of Gettysburg, Confederate commander, Robert E. Lee, attempted to batter the Union flanks; first the Union left flank that was anchored on Little Round Top. Confederate general Longstreet argued unsuccessfully for a sweeping envelopment maneuver. Many options and a varied terrain make for an interesting scenario. Gettysburg July 2, 1863, Culp’s Hill. 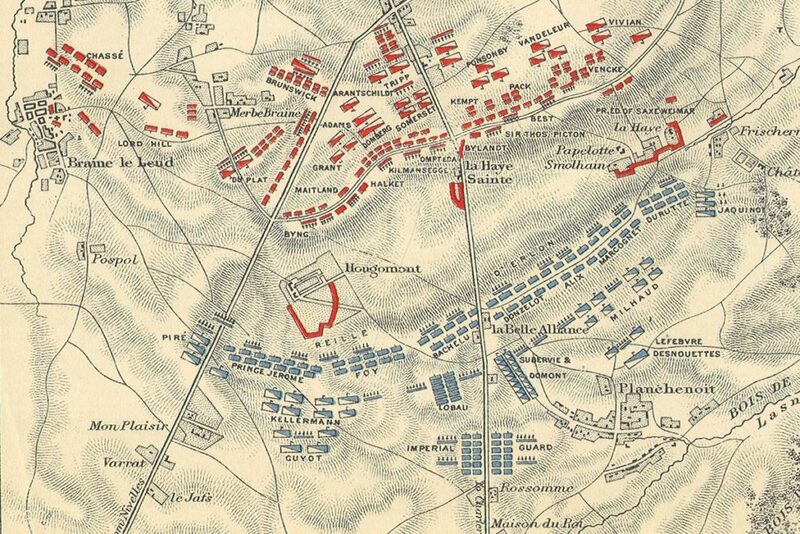 From the Official Military Atlas of the American Civil War. Click to Enlarge. 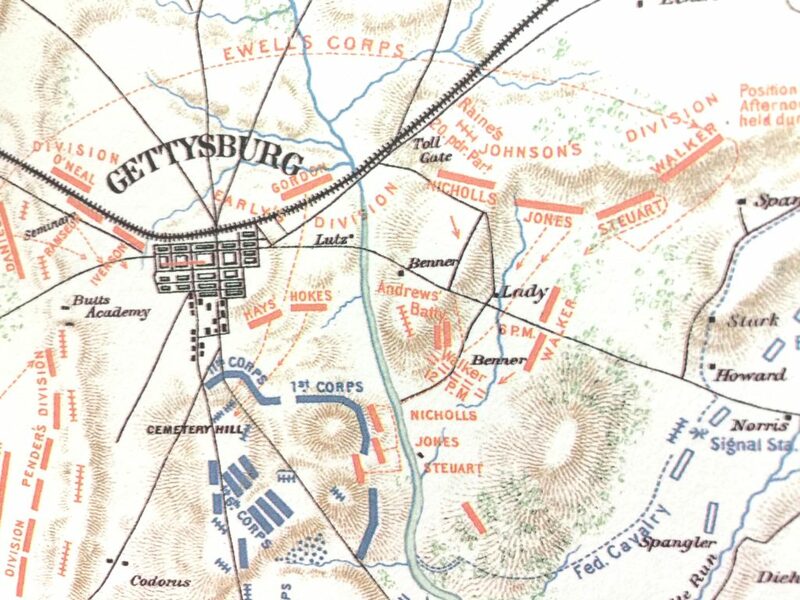 Day two at Gettysburg saw Lee now attempting to force the Union right which was anchored on Culp’s Hill. One of the many interesting personal stories of Gettysburg involves the death of the Culp brothers; one who fought for the Union and the other fought for the Confederacy and both died on the farm where they had grown up. The topography for this scenario should make for an interesting battle. 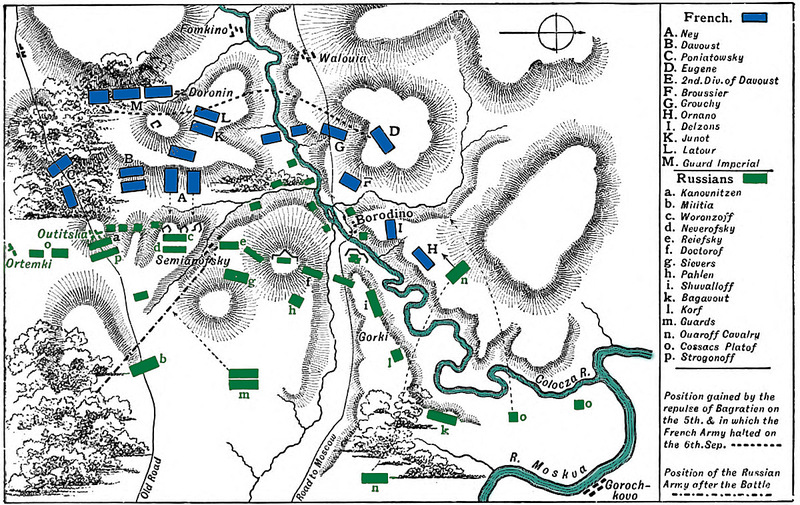 Battle of Borodino. Source unknown. Click to Enlarge. Borodino was Napoleon’s Pyrrhic victory over the Russians that opened the road to Moscow but at an extraordinarily heavy cost. As commander of the French will you be able to win with fewer casualties? As the Russians will you be able to extract even a greater toll? This entry was posted in Kickstarter, Scenarios and tagged Kickstarter, Rewards, Scenarios on August 6, 2017 by EzraSidran.